This was an interesting project. 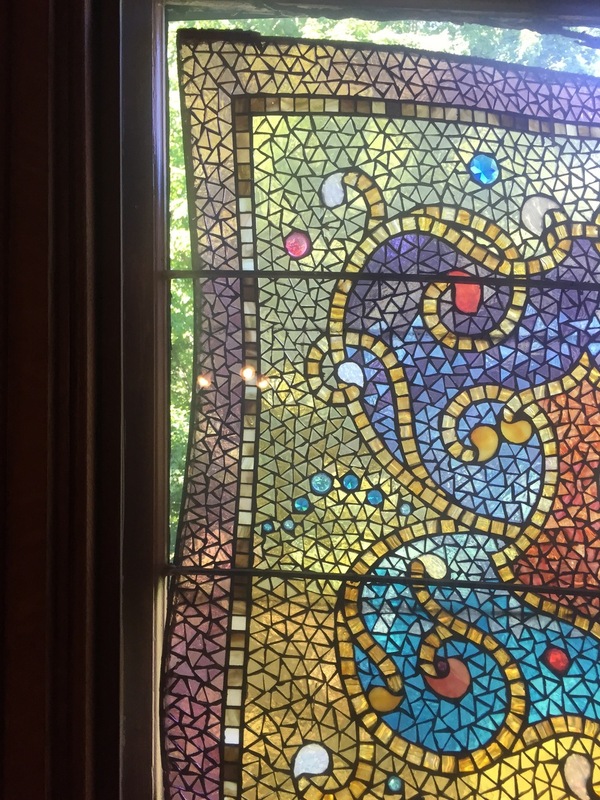 A high Victorian in Newton, MA had some original mosaic windows made by Henry Belcher, some time between 1950-65 (we’re guessing.) 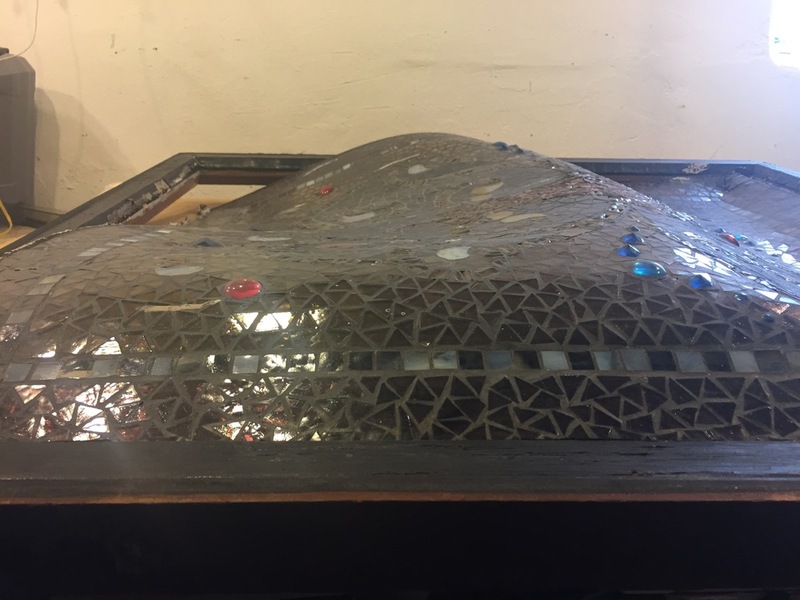 Belcher constructed these by sandwiching tiny pieces of glass between layers of asbestos and then pouring lead over it to create a lead matrix. It was an experimental technique that ultimately proved to be problematic. 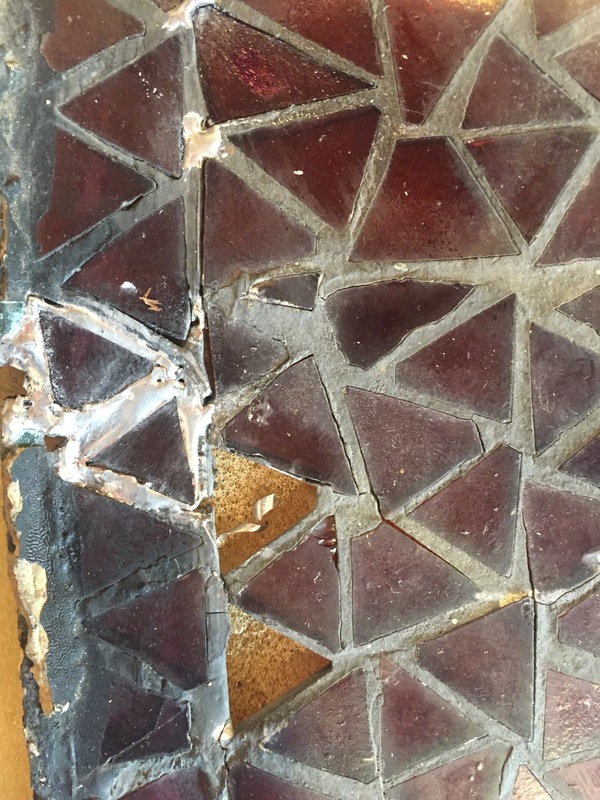 When I went to see the windows, glass pieces were literally falling out of the sashes. Once the windows were back in my studio, they took 6 weeks just to flatten out. I was able to stabilize them but I needed to find a way to keep the glass from falling out again. After a lengthy consultation with the owner — whose desire to preserve the windows did not come with a limitless budget— we landed on a solution wherein I used clear, conservation grade sheets of laminate, adhered to the exterior of the window. It was a time-intensive approach that supported the window without sacrificing the view. More importantly, the windows are back in their rightful place and the client is thrilled.